What are the different types of papers your writers can create? 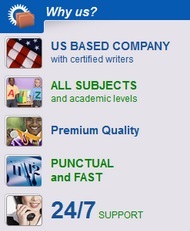 We have been in this business for years and have writers who know the ins and outs of academic writing. That’s the reason why we can help you with everything that involves writing, be it a research paper, essay, dissertation, book review, lab report, or anything else. Visit our services page for more information. We have more than 500 professional writers and editors on-board, and we have selected them all after making them pass through a rigorous selection process. These writers specialize in a diverse range of academic disciplines and have at least a master’s degree – many of them also come with a doctoral degree. Due to the qualifications of our writers, we are confident about helping you complete all your academic writing assignments. Be it a paper on macroeconomics or an essay on business and finance, our writers are always ready to help. Do I get any guarantees that I will receive my paper by the deadline? Yes, we always pay special attention to meeting deadlines, and have already made a reputation for being on time. No deadline is too short for us, and one of our writers will always impress you with quick, quality work. Can I ask for a revision if I am not happy with the final version? Of course, you can check your paper and let us know if you think something needs attention. Our writers will make necessary changes until you are completely happy with the level of work you receive. 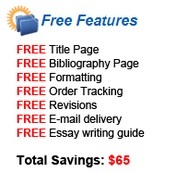 You don’t have to pay anything extra for revisions. Can I get my money back if I think revisions don’t seem to do any good? Yes, you can use our money-back guarantee for a full refund. It doesn’t usually happen that you have to get your money back because if there are any issues our writers work with you to resolve them as quickly as possible. How can I contact you to know about the status of my order? We have a highly vigilant and responsive customer support team ensuring that you don’t have to wait to get a reply. You can contact us by phone, email, or live chat – you can also check your client’s area to work directly with the writer. Where can I find my completed paper? Once done, we will upload your paper in your personal account area. You can download it from there for no additional charges.